Class Discussion is a nifty little sub-forum that is based around the idea of homework help. It is up to the students to help run this as each student can post the list of classes that they are a confirmed member of and be placed on a list. This list contains all classes along with their teachers and assistants. In turn, somebody may contact another person to discuss lessons or for small amounts of help in a certain class. All students that do post have to be willing to discuss. This project helps eagles interact with each other along with getting their homework completed. Being a Ravenclaw has a certain stereotype and this sub forum manages to fill it. To help students with their homework and collect more points for the house, where would the Roost be if we didn’t have a sub-forum dedicated to class work? This sub-forum was suggested by notorious HOL-er Severus McGonagall who had talked to our very own Cassandra Lobiesk who took it upon herself to discuss with other notable Eagles about a homework helping area of sorts. Cassandra Lobiesk, along with Tinuvie Levante and Rhiannon Llewellyn developed the idea and Lara Pandette volunteered to moderate the new area. It was conveniently placed under the name ‘Class Discussion’ which is still its name at present. Kilmarie Seloiro, a very studious Ravenclaw head prefect in her time was one of the notable leaders of this sub forum. She remained very actively involved in all of her subjects and throughout Ravenclaw, maintaining Ravenclaw’s status. 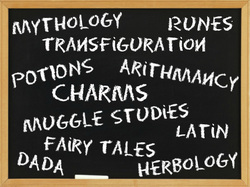 As she ventured into the Muggle world, Cassandra Lobiesk and Alexia Riaper took in turns to keep this sub forum running and presently reserve prefect Keety Rhea moderates the sub-forum and supplies Ravenclaw students with the list of classes up for discussion. In August of 2006, Prof. Rhiannon Llewellyn announced that ‘A new board, Class Discussion, has been created’ and it remains there to this day.